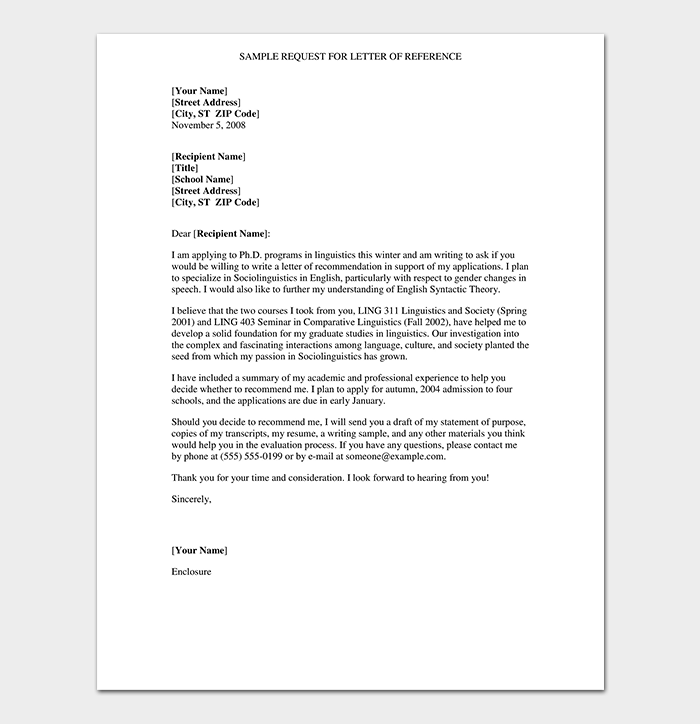 It is time-consuming and overwhelming to try to create your reference letter without a template. 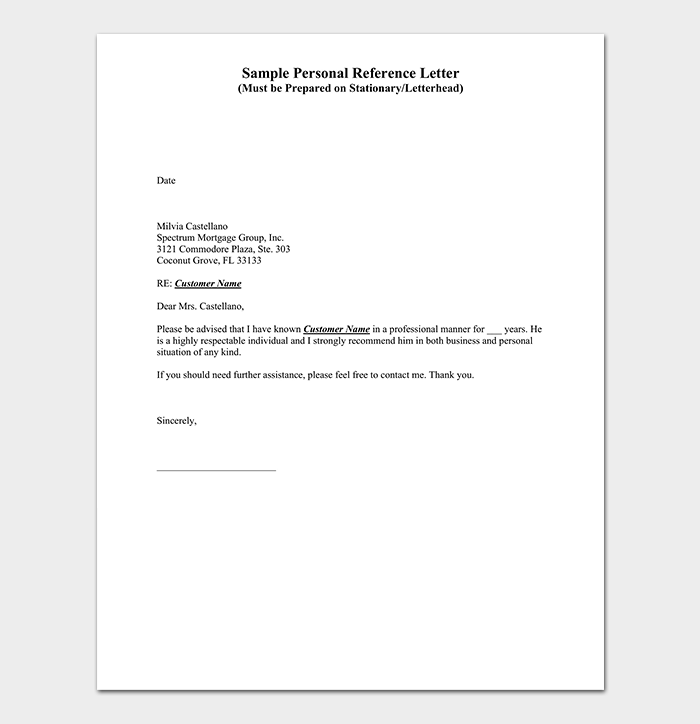 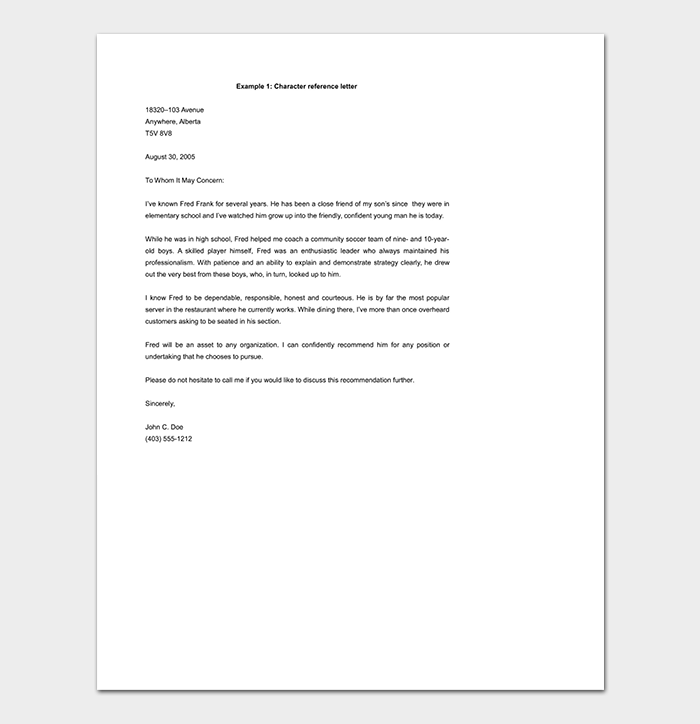 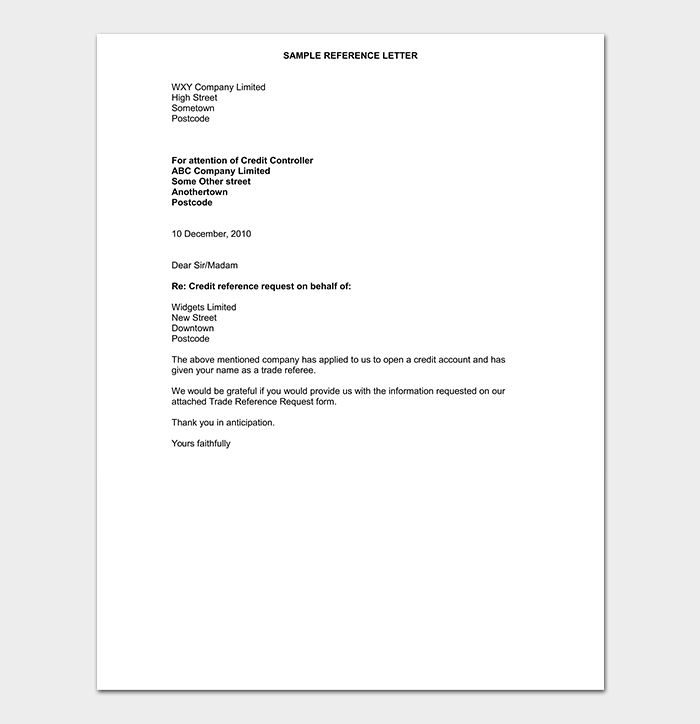 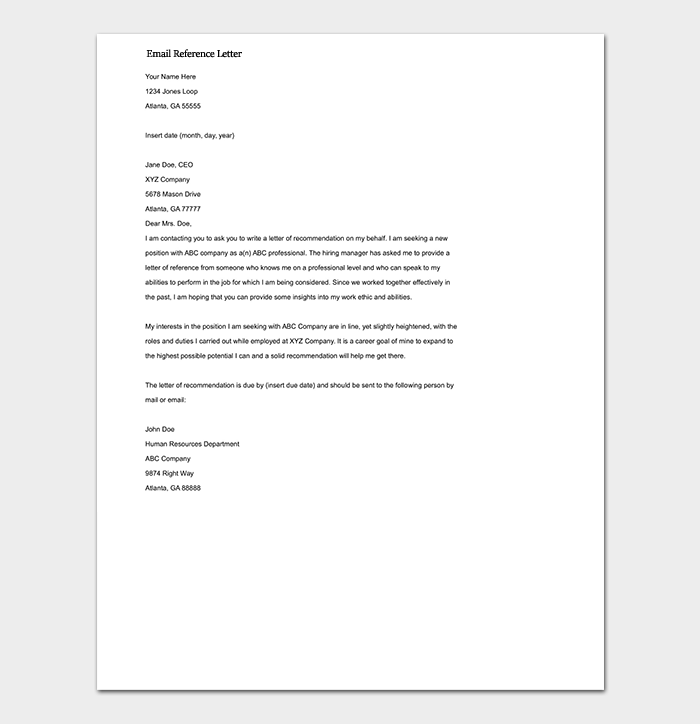 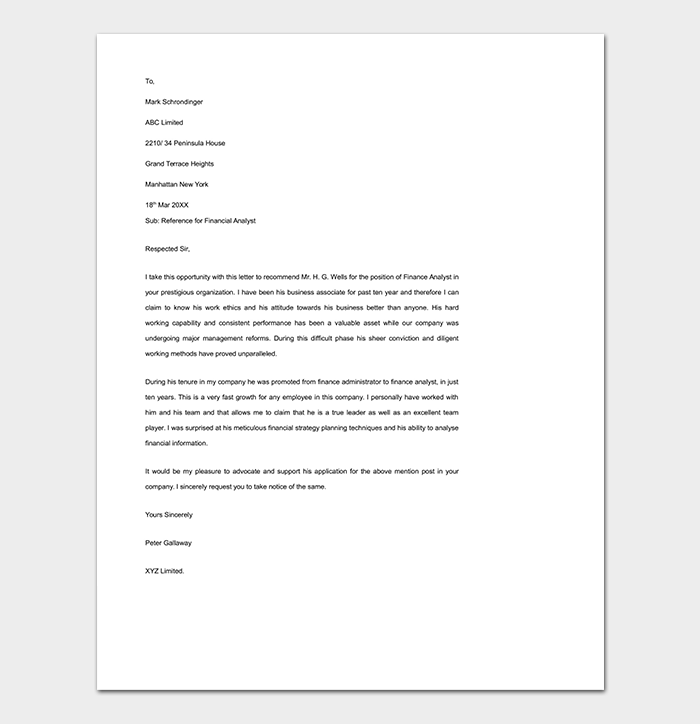 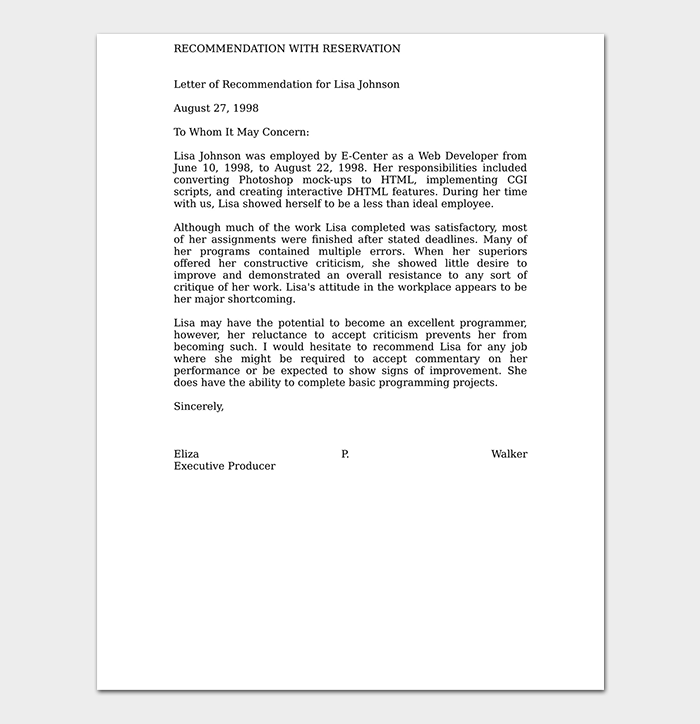 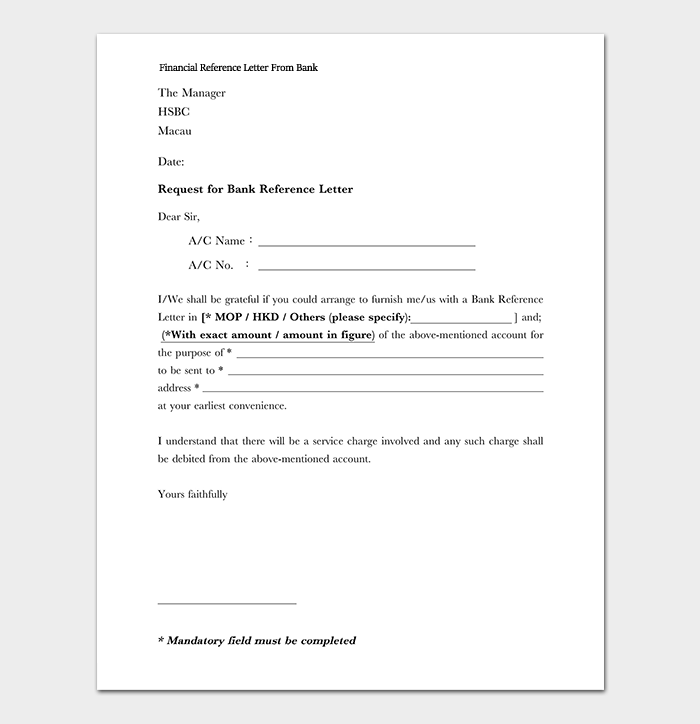 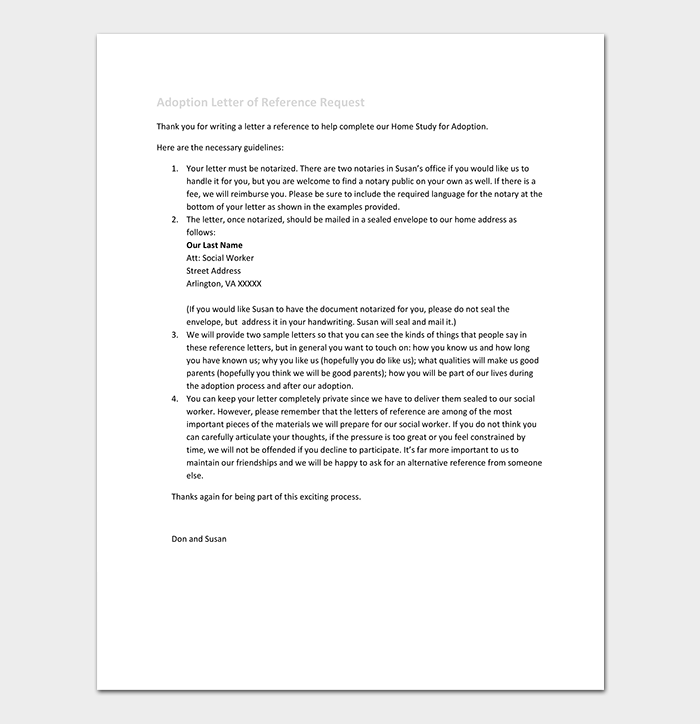 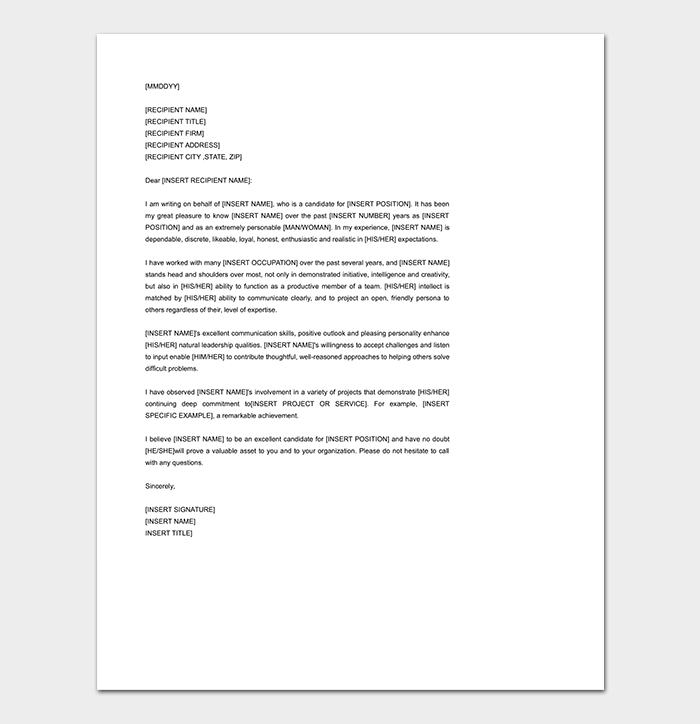 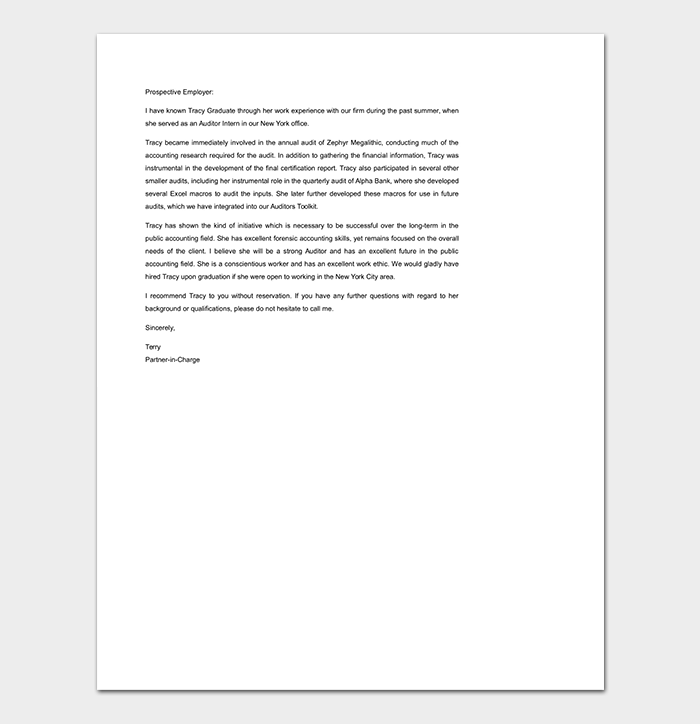 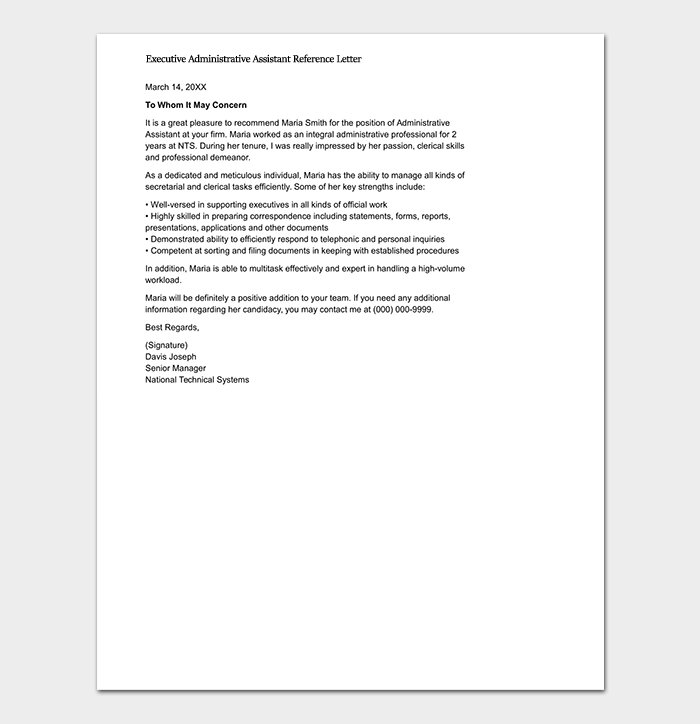 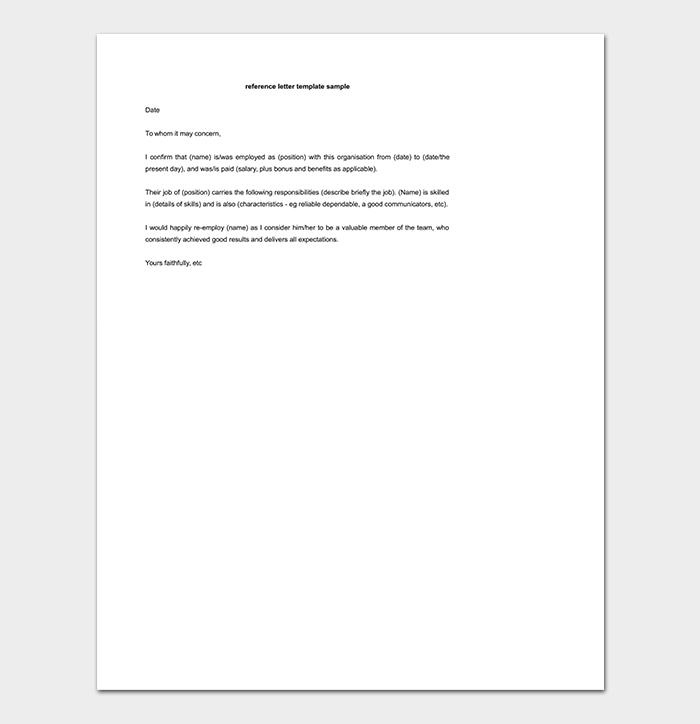 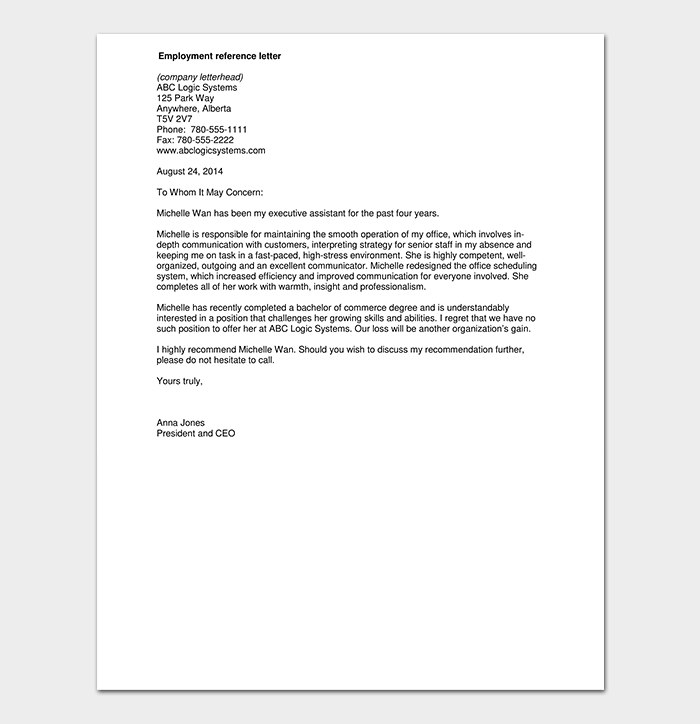 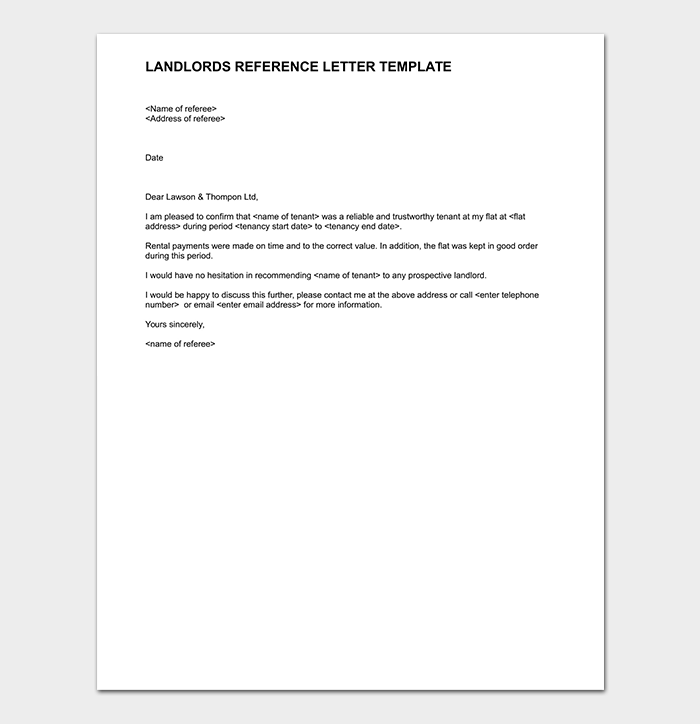 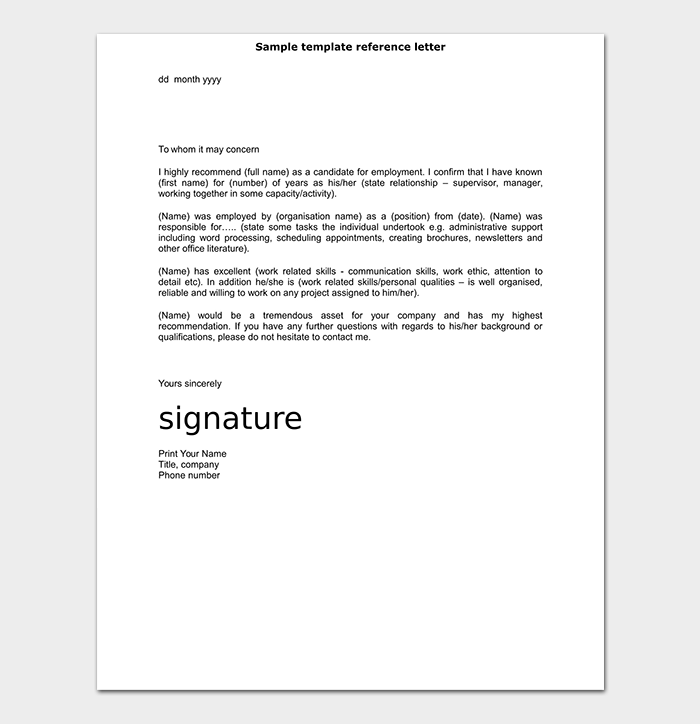 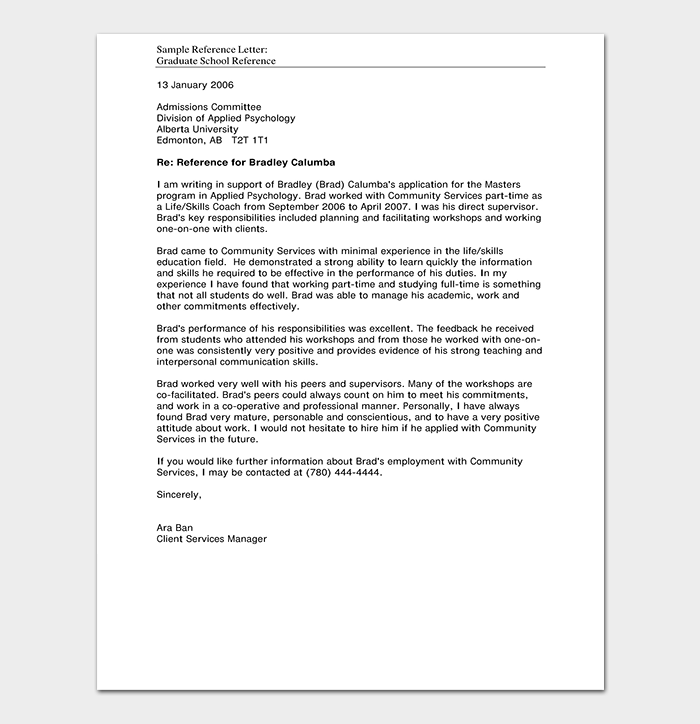 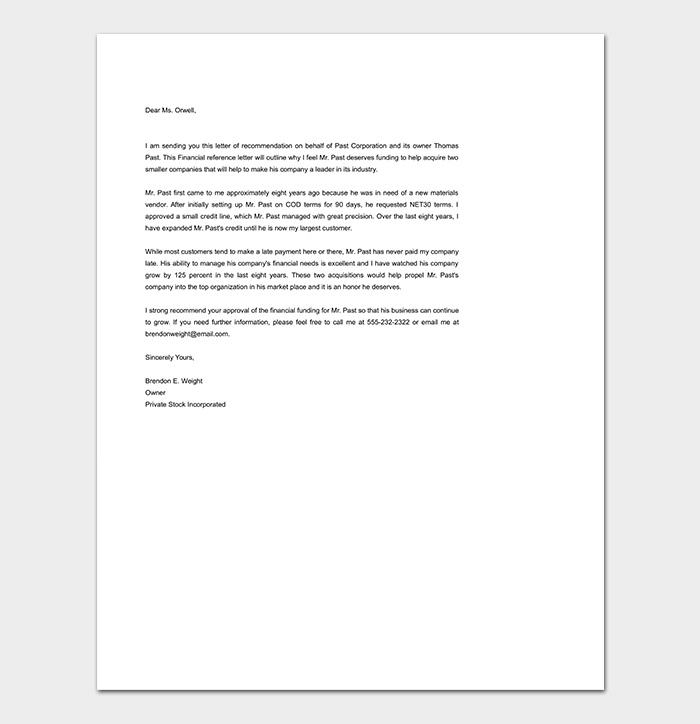 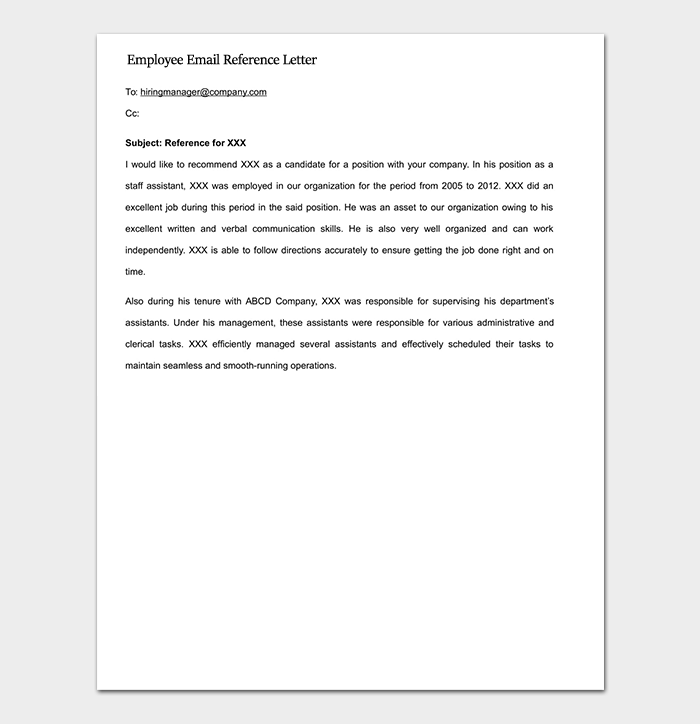 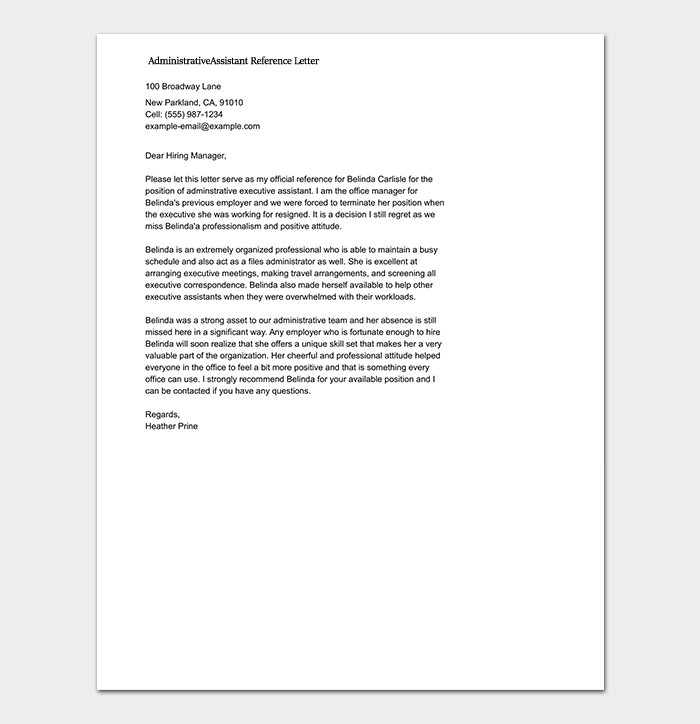 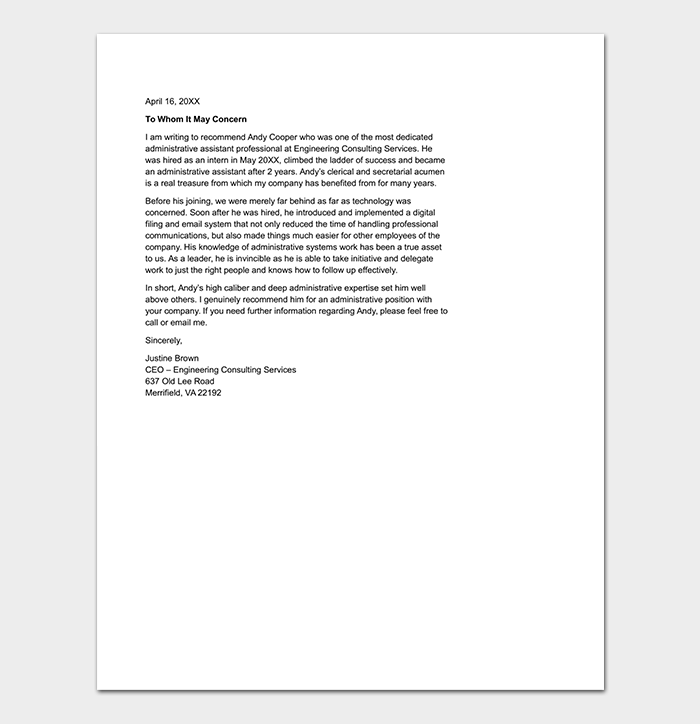 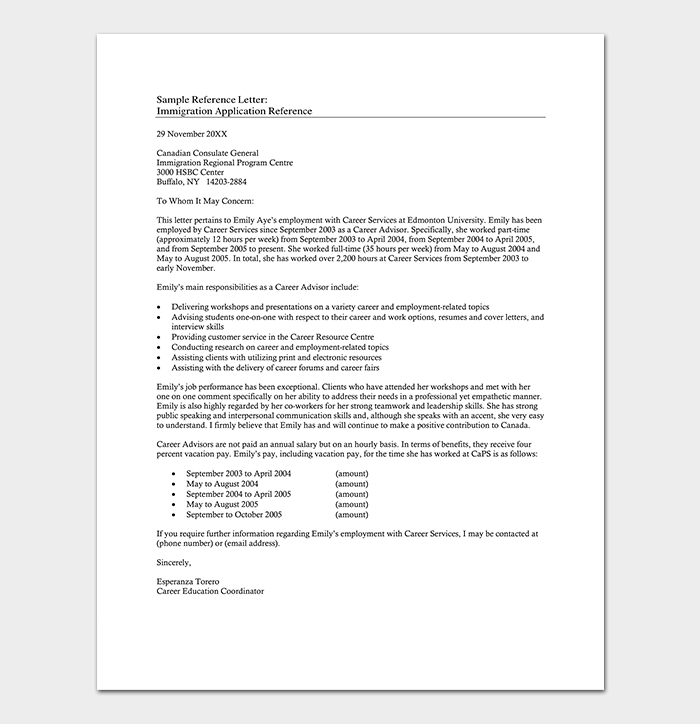 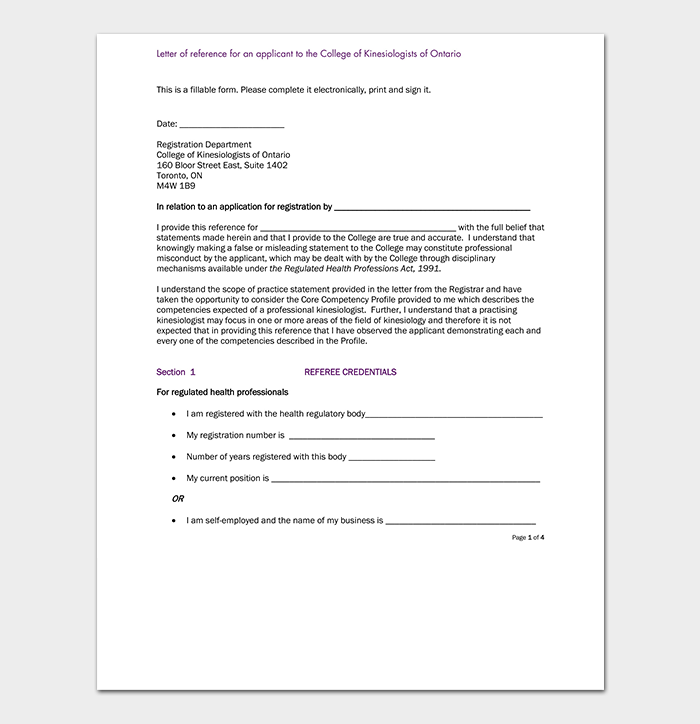 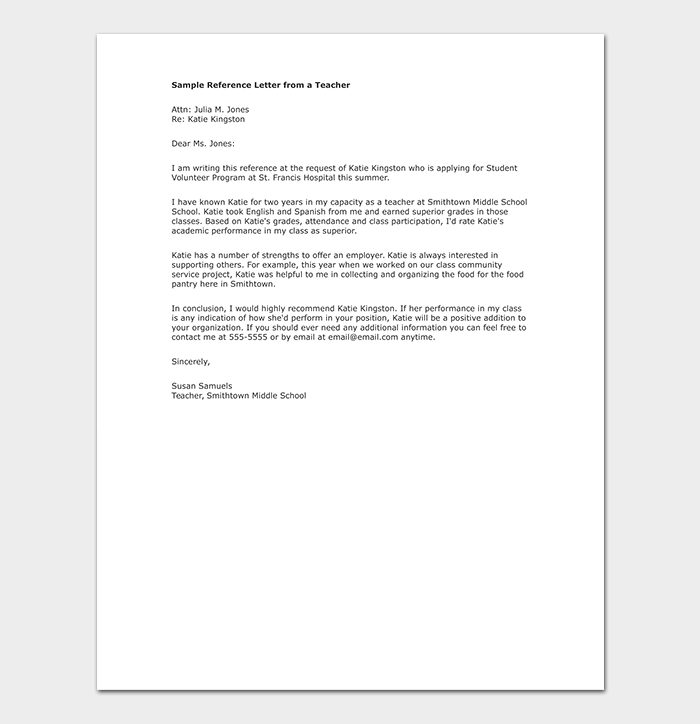 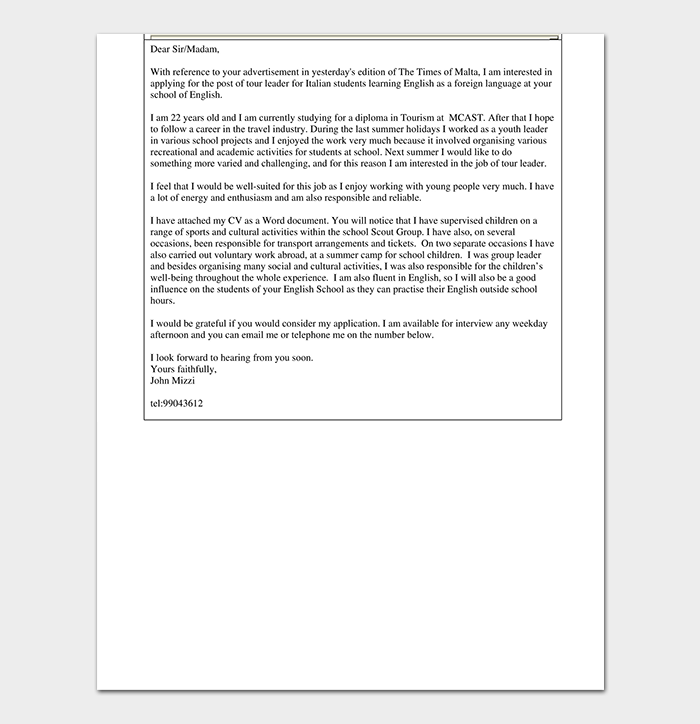 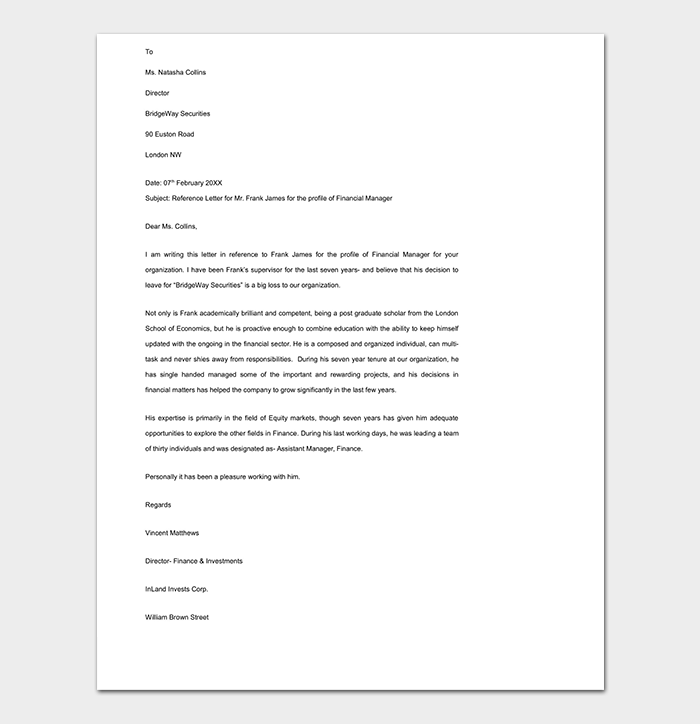 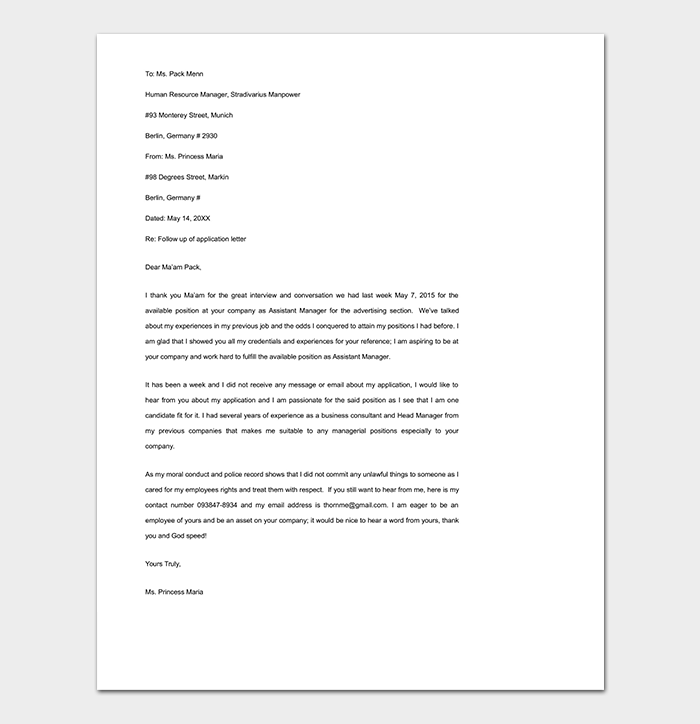 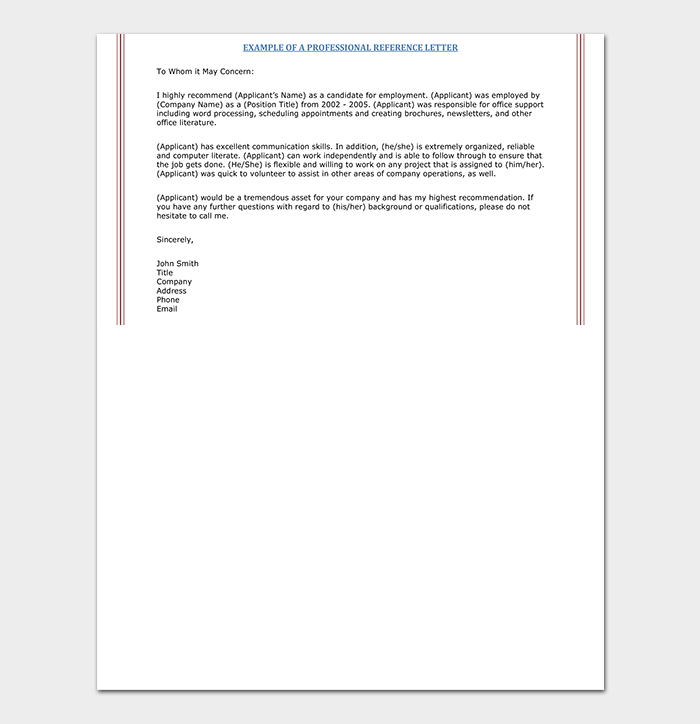 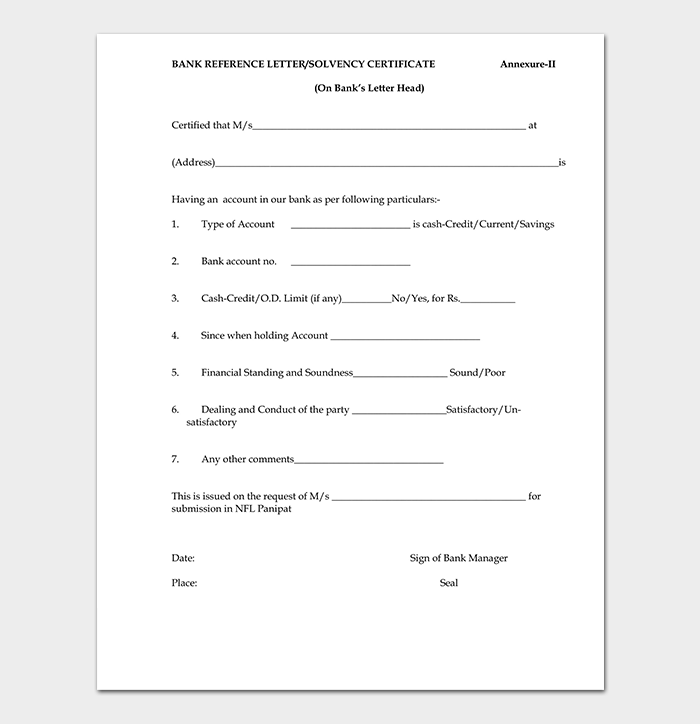 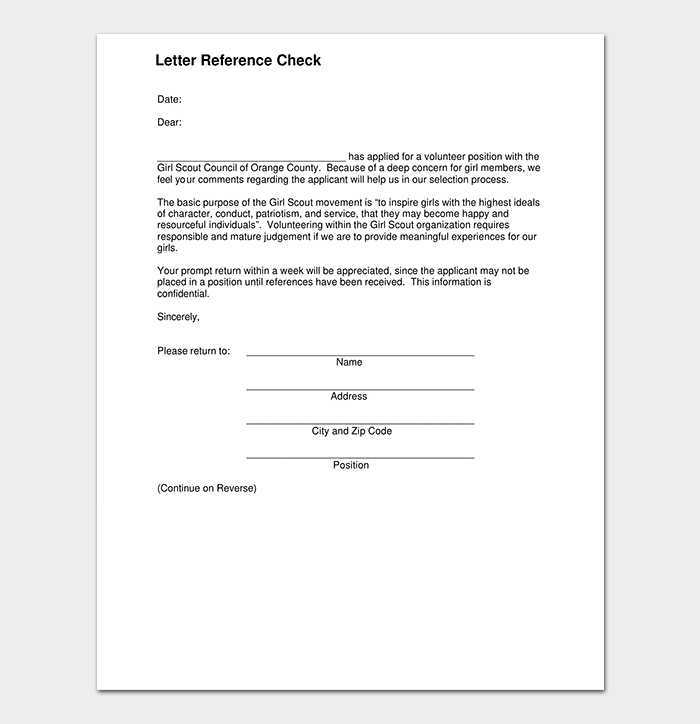 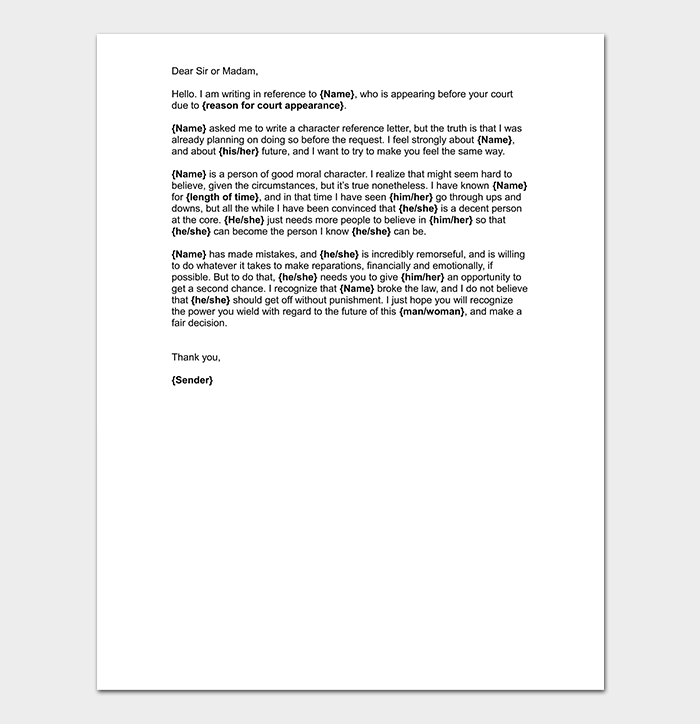 A reference letter template will help easily format your letter. 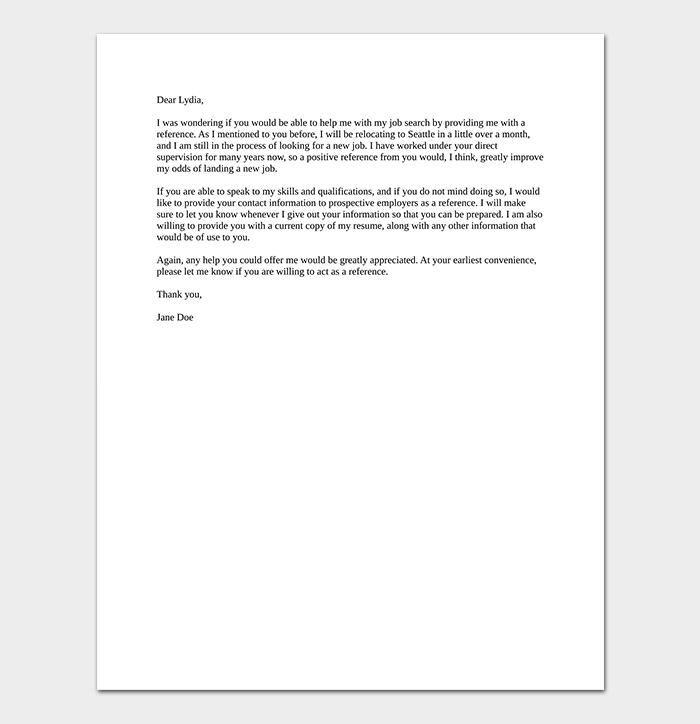 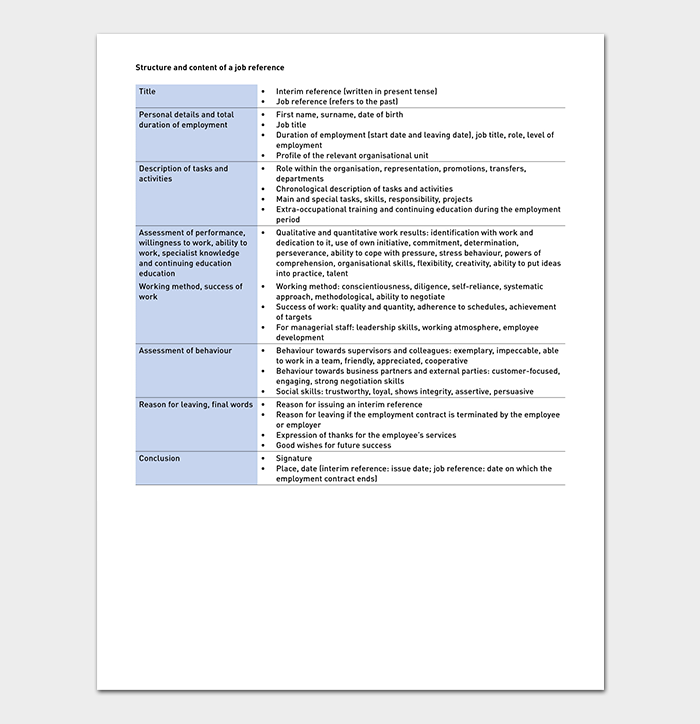 A template guides you on the content you should include in your letter. 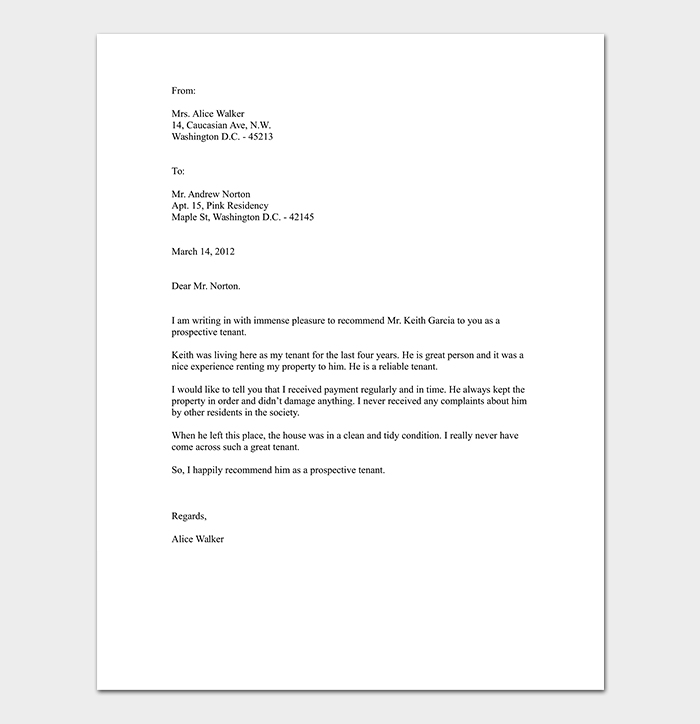 It is also a starting point for your letter, but you should personalize and customize your letter. 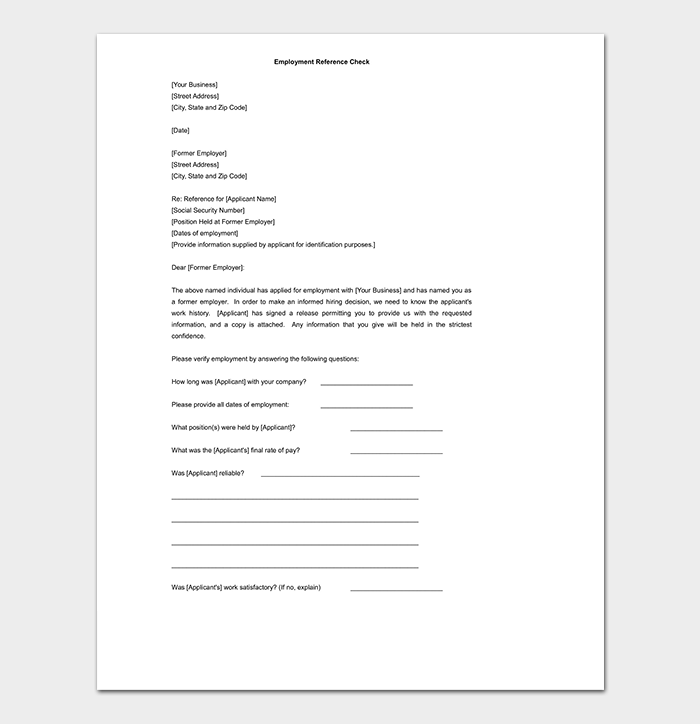 A personal reference letter template helps you get a sense of how to write your recommendation, and what to include such as introductions and body paragraphs. 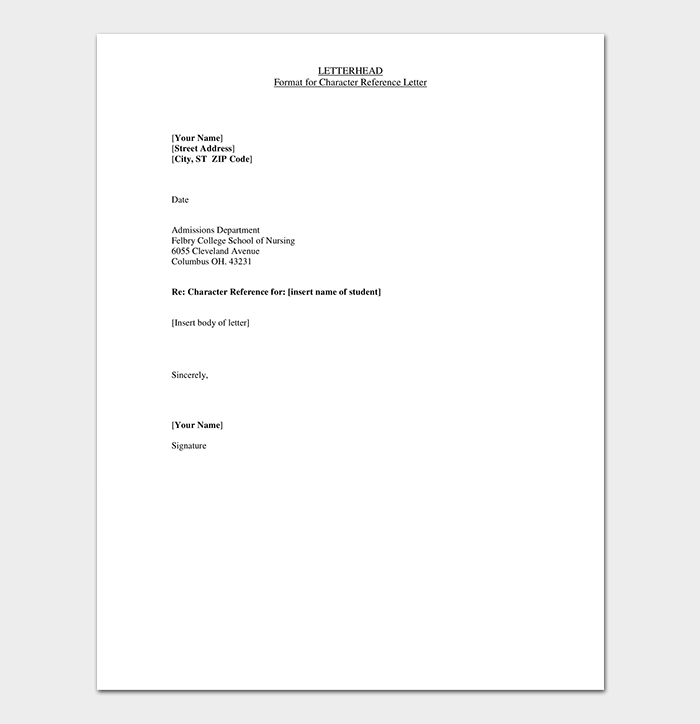 You should always tailor your letter to best suit your friend. 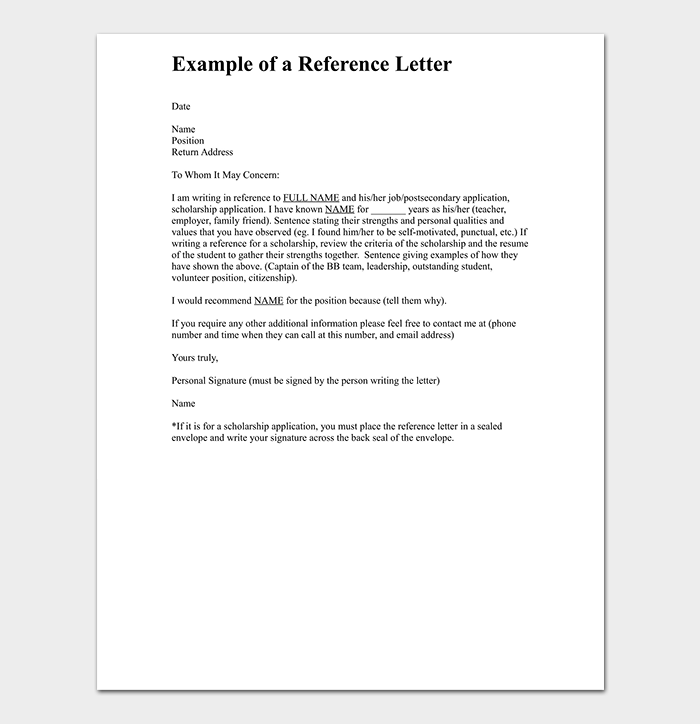 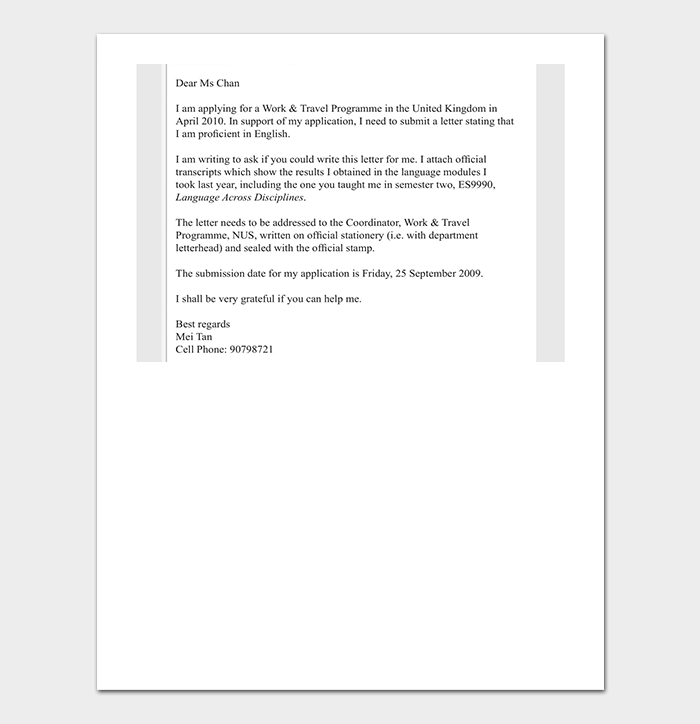 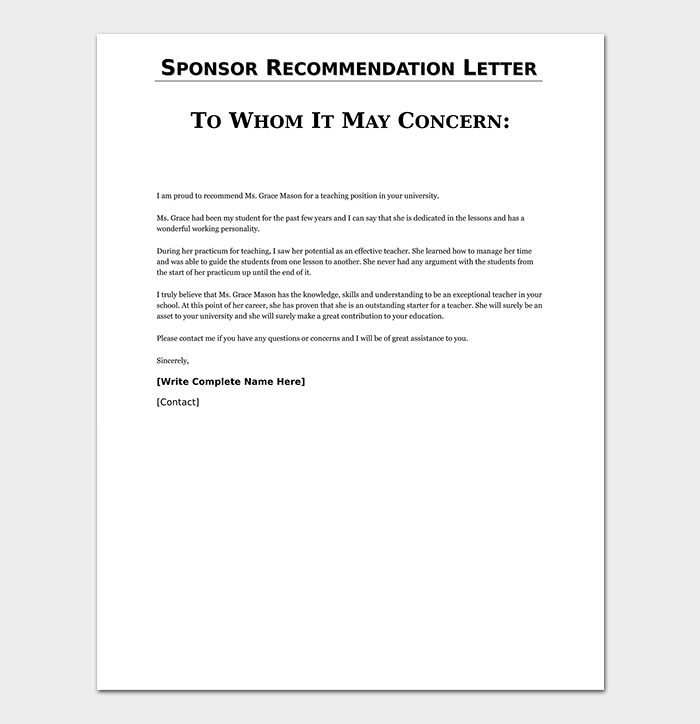 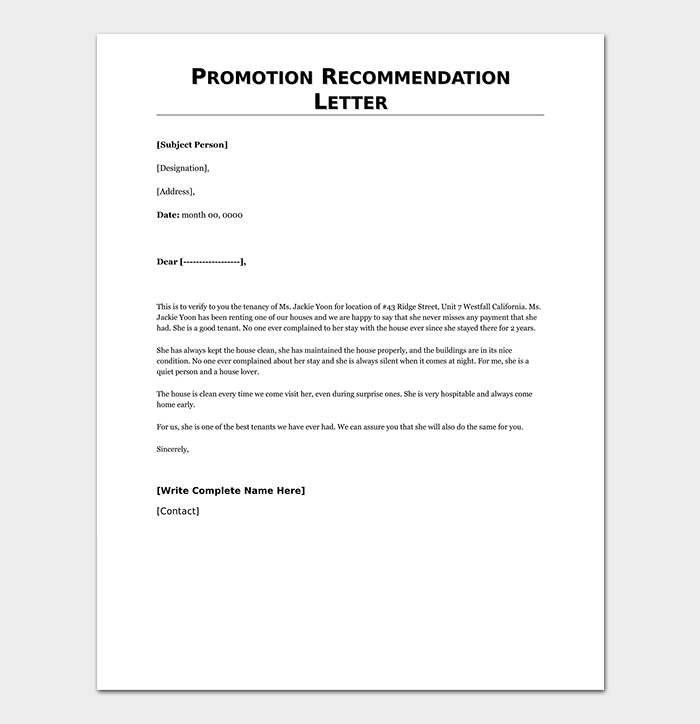 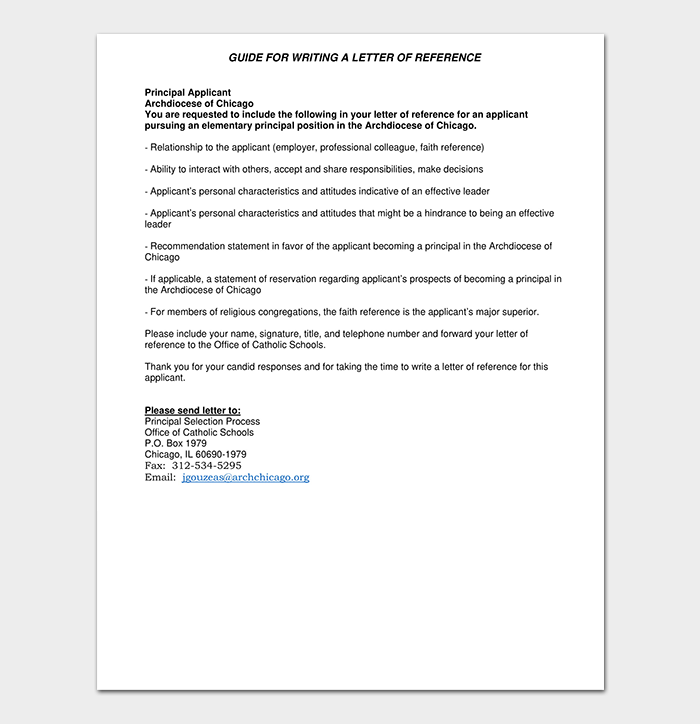 Reference letter template in word provides a guideline on how to format any recommendation letter. 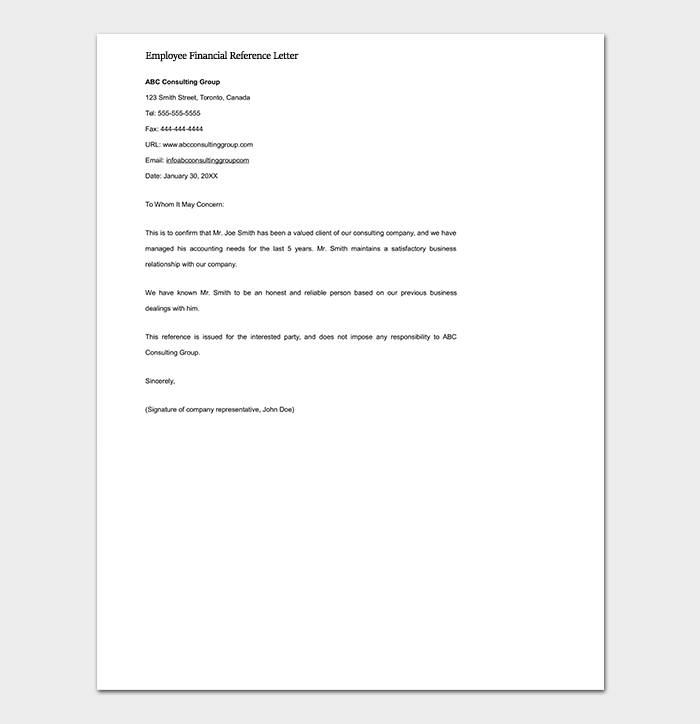 It shows where to include the receiver’s address, how to space paragraphs, font style, and font size. 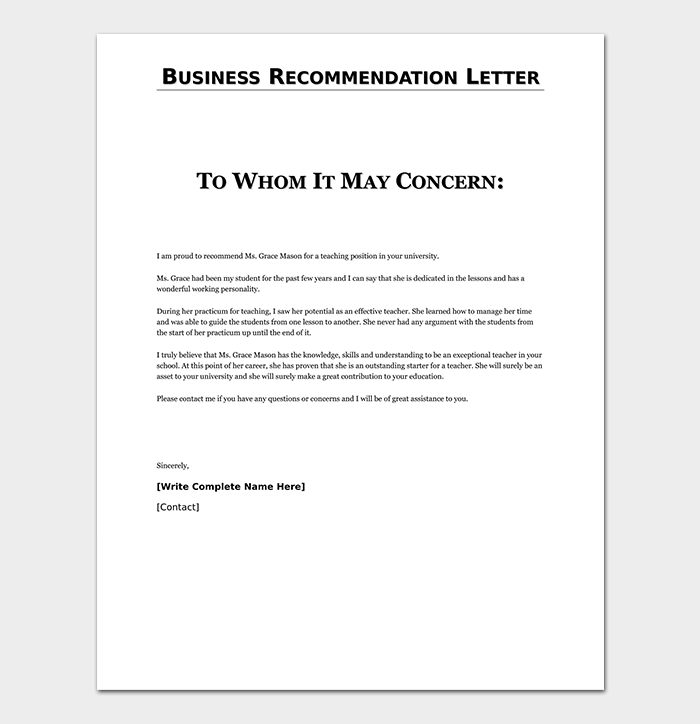 A reference letter for an employee is the recommendation letter an employer writes for a former employee. 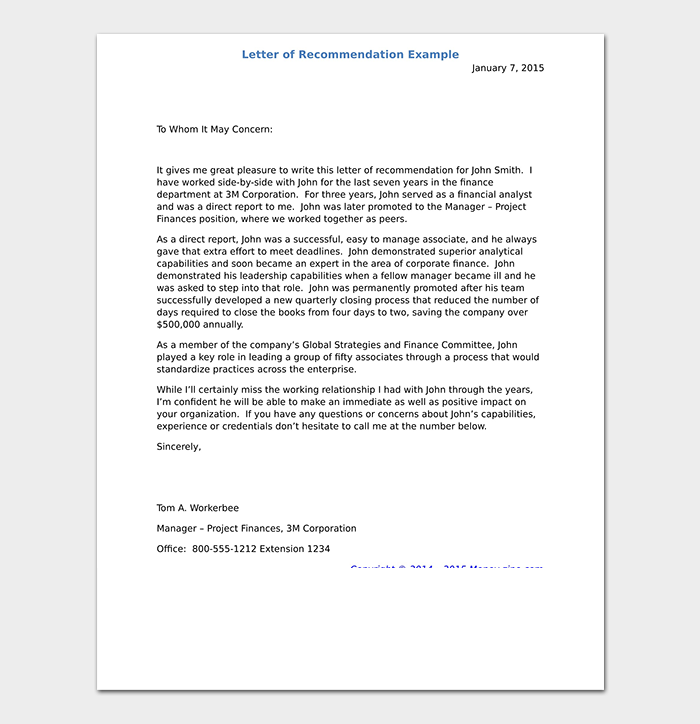 Having a recommendation from a previous employer is very helpful in landing a new position. 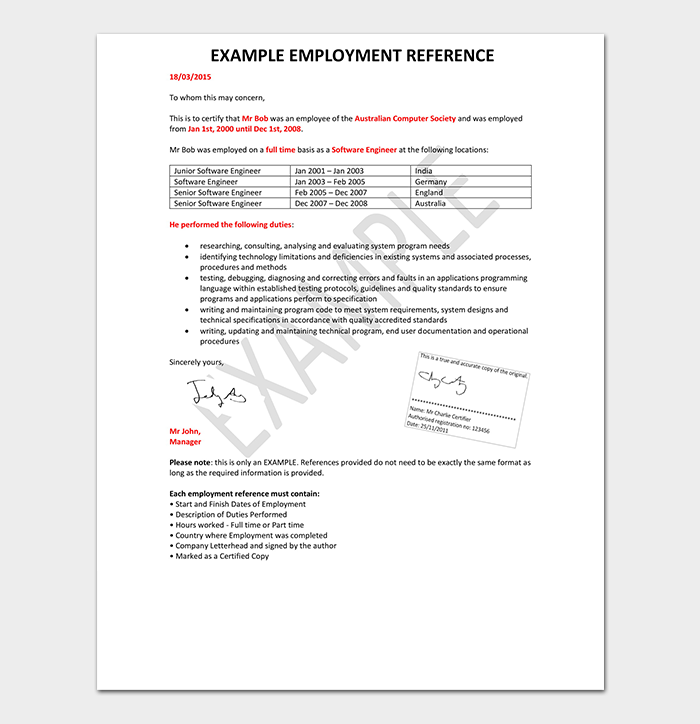 It contains information on the employee’s attributes, efficiency on the job and recommendation for future employment. 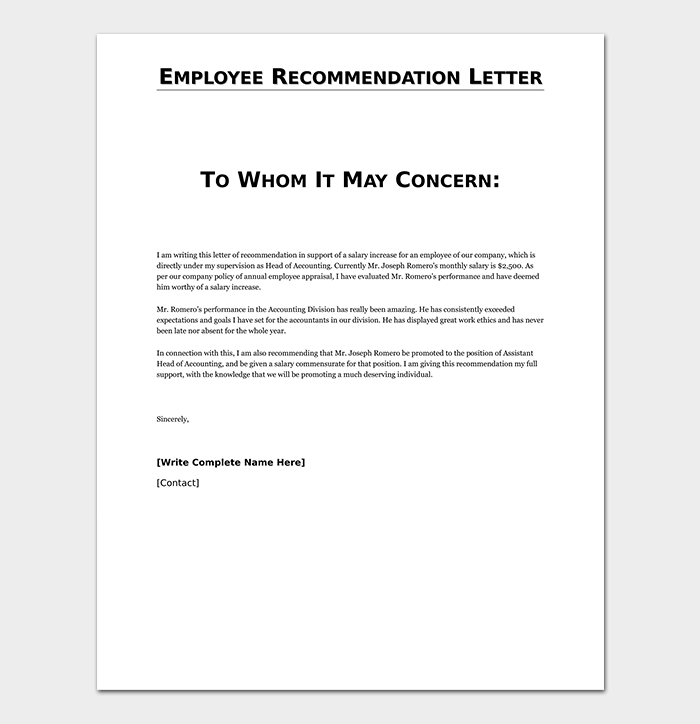 A reference letter for a friend is a reference to somebody you know personally, preferably not an employee. 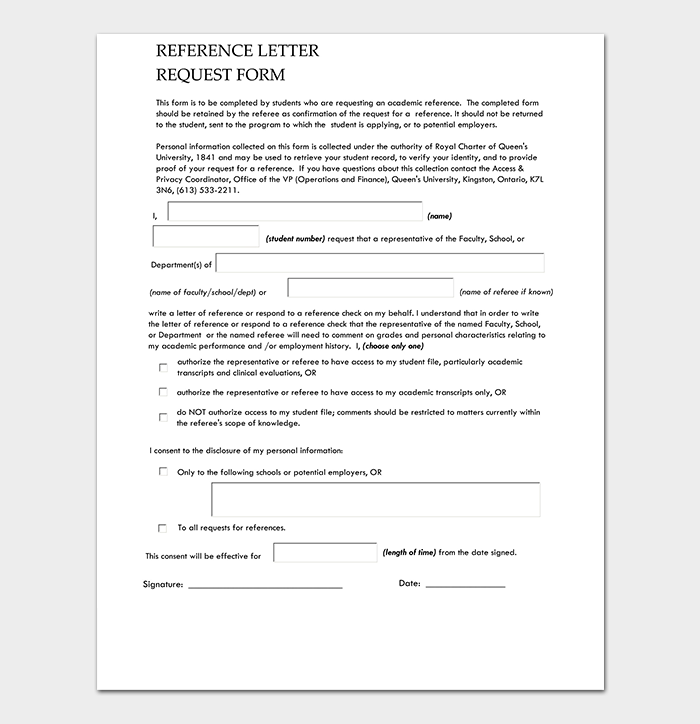 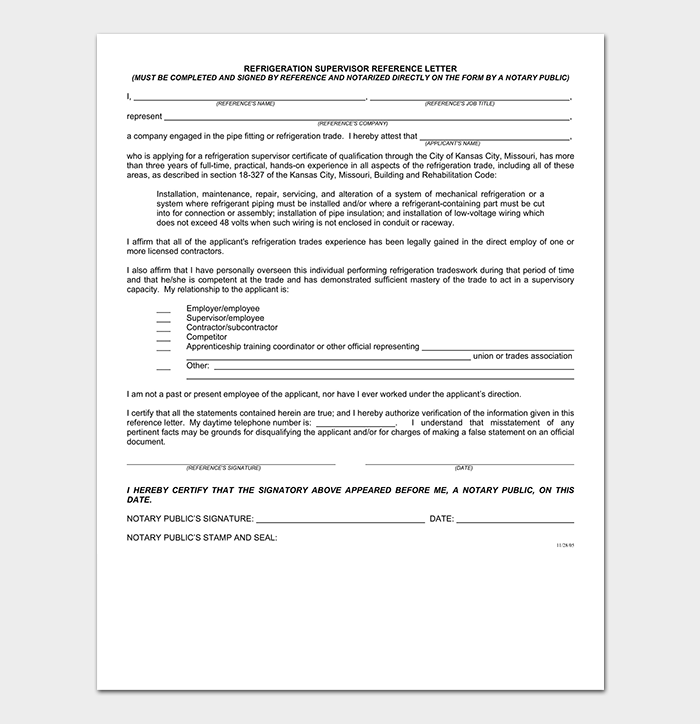 You may be requested to write a reference letter for your friend, neighbor or acquaintance. 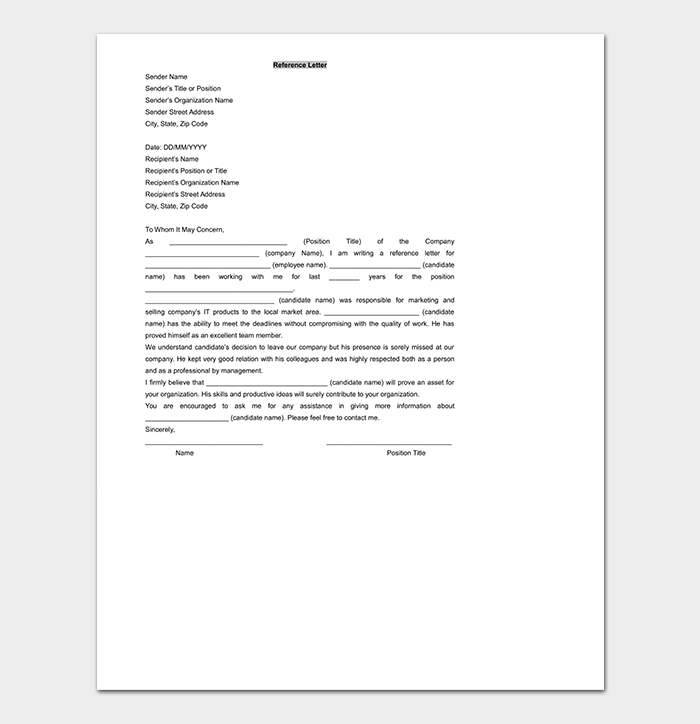 One may use this if their work record is not right or if it’s your first job. 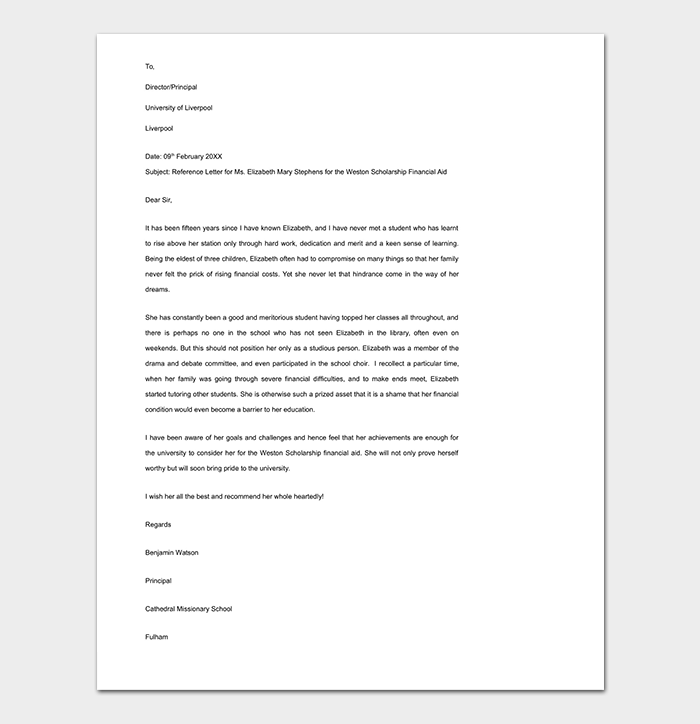 A reference letter for a student is a crucial recommendation written by a teacher for their student. 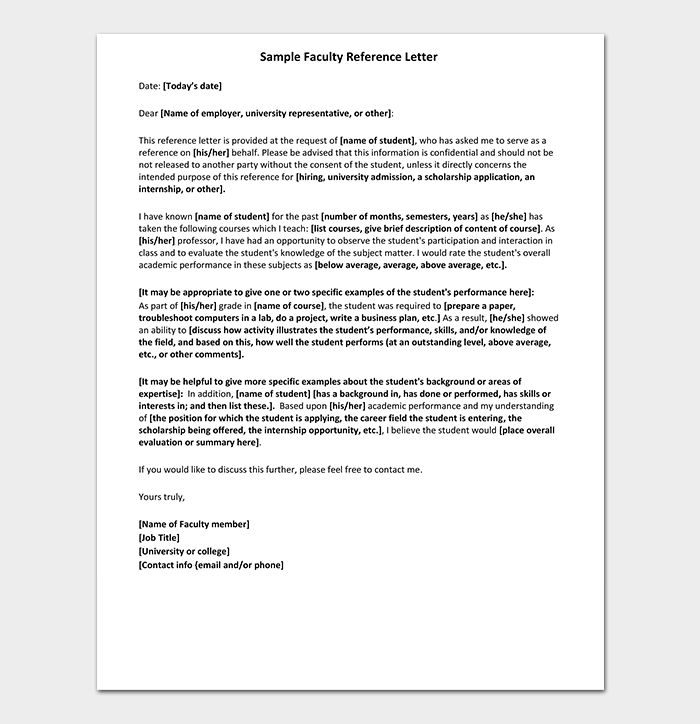 This letter highlights academic and personal strengths of the student. 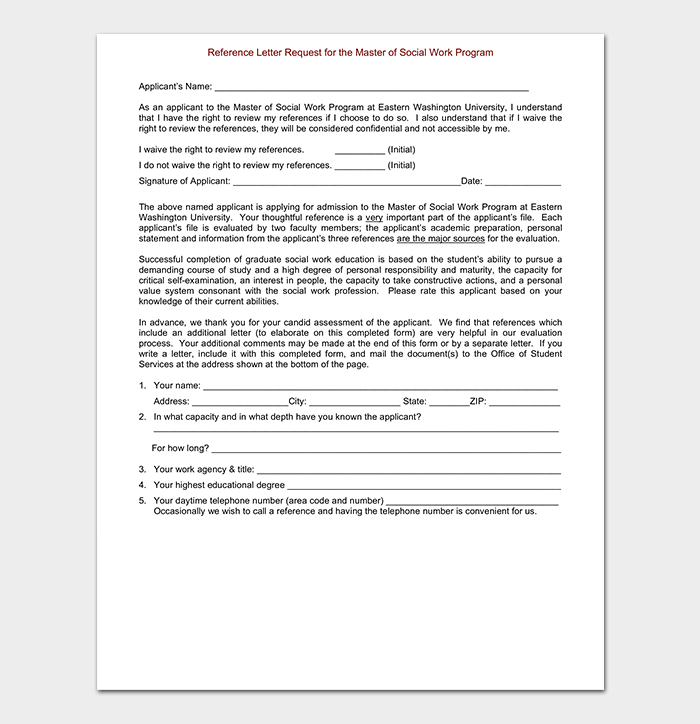 It has a powerful effect on a student’s chances for admission to college. 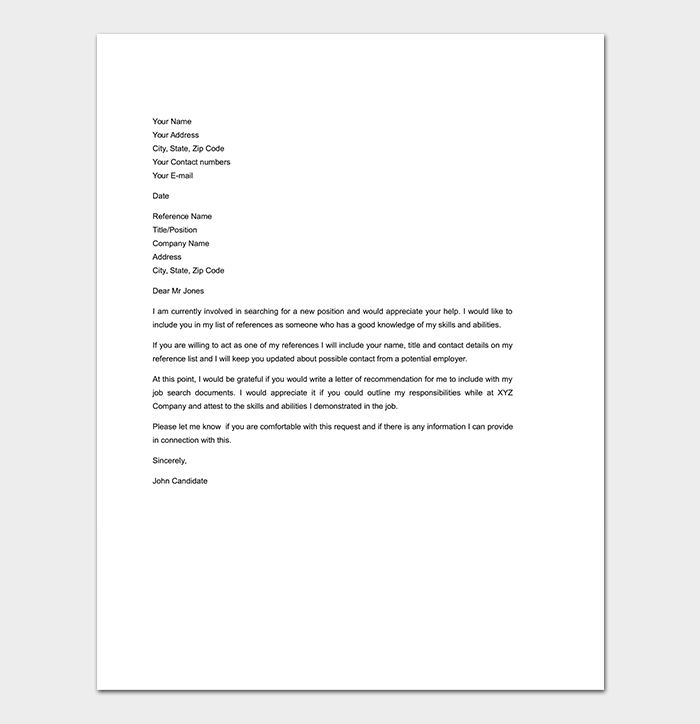 It is good to read samples of reference letters before writing your letter because apart from helping with the layout, then you know what to include in your letter.